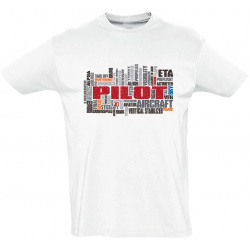 The ASA "Pilot" t-shirt combines a bright and bold eye-catching font with a splash of color to deliver a simple message in sleek and casual style. 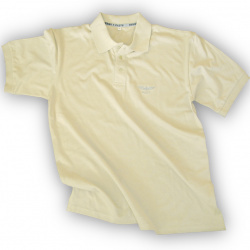 Complete with propeller, these quality Hanes® 100% cotton t-shirts are comfortable and durable, and available for both men and women. 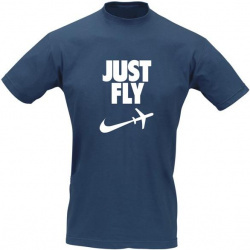 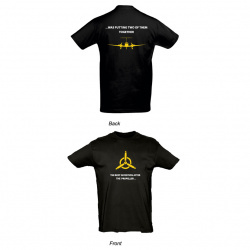 ASA Pilot t-shirts are great for all kinds of pilots no matter what they fly. 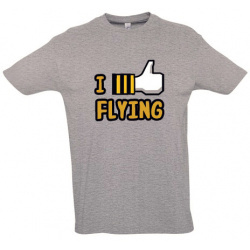 They also make great gifts for newly certificated pilots as well as those who have been around the traffic pattern more than a few times.Whether in the air or on the ground this Pilot t-shirt is the perfect fit just about anywhere. After all, pilots aren't just people who fly things, they are dreamers, adventurers, thrill seekers and achievers. 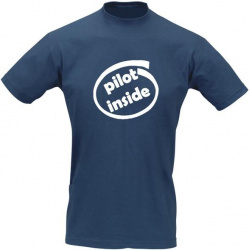 Pilots are men, women, students, teachers, instructors, problem solvers, and professionals. 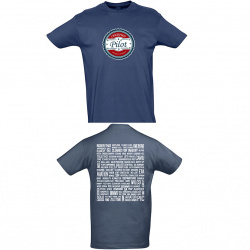 Men's crew neck style available in medium, large, XL, and XXL. 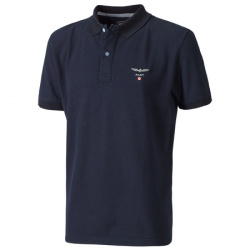 Kvalitetna polo majica z vezenim logotipom "PILOT", 100% bombaž.